Social marketing has long been an important step for app promotion. By effectively using social media you can build an audience, drive demand for your app, and ultimately increase downloads. But how does it really work? What do you need to do after creating profiles on Twitter, Facebook, LinkedIn and Google+? Social media is perfect for networking with your target audience. But for long term and reliable communications, you must offer a great brand experience with an emotional connection. Social media captures the personal side of your brand, which will draw in the right audience for your app. The most successful social media campaigns create communities. Let’s see how these three mobile apps did it. The ride-sharing service Lyft focuses on people from the first blog article through every response on Twitter. “While rival Uber is an efficient delivery service, Lyft is seeking to differentiate itself by offering a combination of ‘humanity and technology," – says Kira Wampler, CMO at Lyft. Lyft’s Facebook page is all about warm relationships with follower: colorful photos, comments from drivers and passengers, engaging stories, and holiday greetings. Customers easily share positive and negative impressions of apps on social media. While a good review may lead to increased app downloads, negative comments can discourage customers from ever trying your app. This is why it’s so important for entrepreneurs to look at reviews and regularly respond to them. 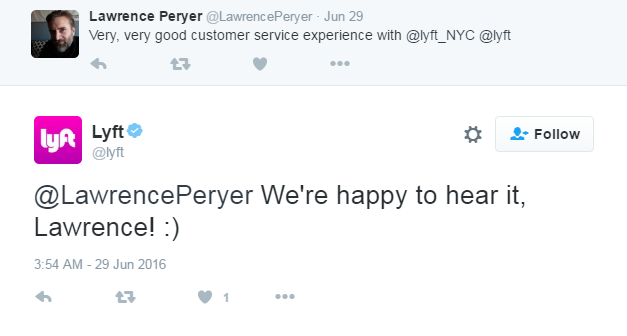 Lyft’s social media team follows all feedback and proactively replies, engaging in a conversation with their followers. The whole campaign illustrates that Lyft is not just a taxi from point A to point B, but a pleasant experience and a service that creates a wide community. Social media is not only for posting sales promotions. People will follow your pages because they are interested in your app and they are waiting for news and useful information. 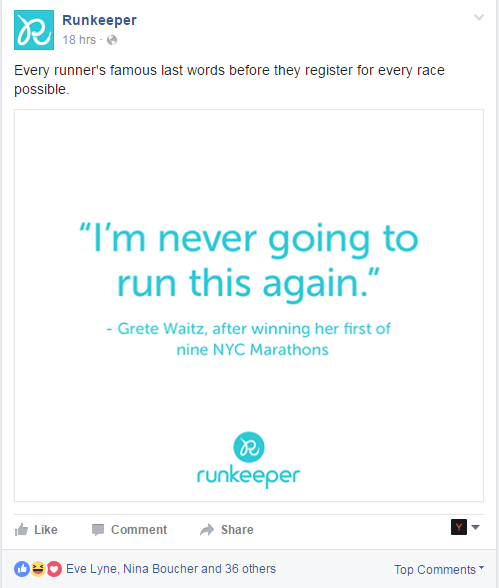 The running app Runkeeper offers one of the best examples of an engaging content strategy. But Runkeeper wasn't always the best example. At the very beginning, they used to share only screenshots and messages like “Ann just completed a 5 km run.” It didn’t work at all. Today, the app provides various types of high-quality content for users on social media. Runkeeper encourages people with motivational quotes, articles about sports, healthy food recipes and tons of tips and tricks. Runkeeper uses social media not only for sharing their own content but for user videos, reviews, comments, and success stories. Runkeeper created a huge online community for people who are interested in sports and health. Thousands of beginners and experienced runners alike read daily tutorials, interesting articles, useful tips and encouraging stories on their Facebook page and blog. Following your instincts is the main key to successful app marketing. It’s important to be yourself and give your app a voice. Show your passion about your app – and be creative! Make your message personal, conversational, empathetic, inspirational, humorous and story-driven. Usually, the best marketing ideas are very simple but are implemented very well. There is nothing extraordinary about hashtags. But the food chain Taco Bell’s app rapidly increased downloads with just one hashtag. 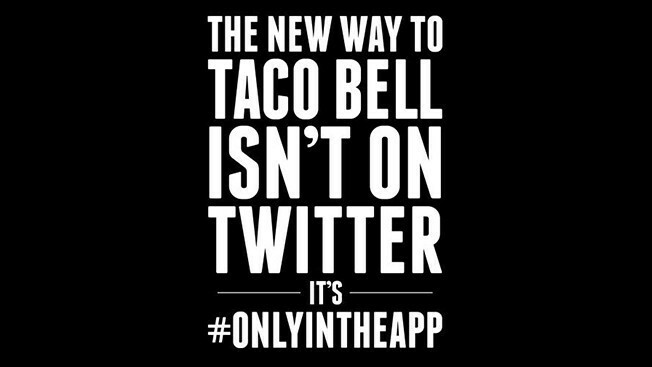 They posted one message on Facebook, Twitter and Instagram: “Taco Bell isn’t here, it’s #onlyintheapp”. “We needed to do something right out of the gate that people would notice, and what better way to notice and drive people to the new way to Taco Bell than the blackout?” – said Chris Brandt, Taco Bell's CMO. They were creative and fearless. And they won! The app took first place in the Food & Beverage category on the iTunes App Store and broke the Top 25 Apps overall. Even more, 75 percent of Taco Bell’s 6,000 U.S. stores had processed mobile orders within 24 hours. Successful social promotion shows the real voice of your app. You can communicate with an audience like the Lyft, share relevant content like Runkeeper, and be creative like Taco Bell. Find what works for you and share it with us!